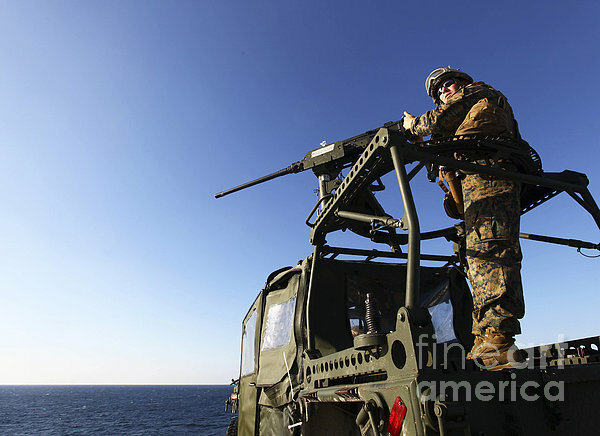 There are no comments for A Machine Gunner Mounts A M-2. Click here to post the first comment. 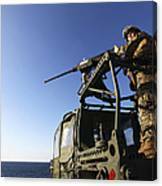 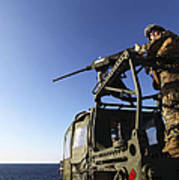 December 3, 2011 - A machine gunner mounts a M-2 .50-caliber machine gun on top of an Internally Transportable Vehicle during the Defense of the Amphibious Task Force Naval qualification exercise aboard the USS Iwo Jima.